Documenting an endurance race in one of the most rugged parts of America proved to be almost as big a challenge for University of Cincinnati filmmakers as competing in it. 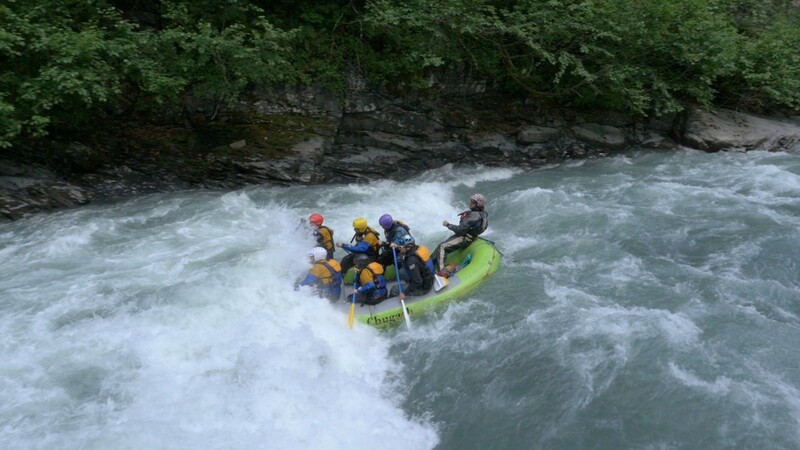 “Expedition Alaska” chronicles the efforts of 20 teams to complete a grueling 350-mile biking, hiking, rafting and kayaking race over seven days in Alaska’s beautiful and mountainous Kenai Peninsula. The documentary was filmed as part of Electronic Media Division Professor Kevin Burke’s production master class in UC’s College-Conservatory of Music. The project was recognized at international film festivals and debuted recently on the national cable television network beIN Sports. It’s available on streaming services now. 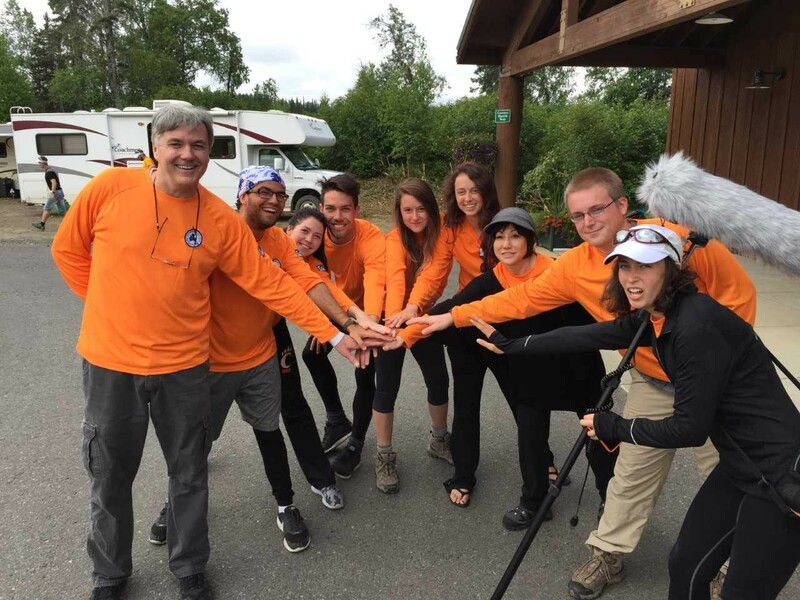 “Expedition Alaska” is one of several adventure-race documentaries produced by UC students for national television broadcast in Burke’s class, starting with the annual California Gold Rush Expedition Race in 2012. “I thought, ‘What a great real-world project for my students to sink their teeth into,’” Burke said. The project demonstrates the real-world experience UC provides as part of the Bearcat Promise, a platform of UC's strategic direction called Next Lives Here. I learned so much. It really prepared me to be ready for anything. When forest fires canceled the California race in 2015, UC’s team headed north to cover the Alaska endurance competition. Seven UC students joined a crew of professional filmmakers led by UC graduate and producer Brian J. Leitten, who founded Hyperion XIII Productions in New York and helped create the production master class with Burke in 2012. Burke rented a recreational vehicle that would serve as a mobile base for the production. “It would shake if you drove over 50 mph,” Burke said. Before the race, the UC team scouted locations along the course to best shoot the action. The team made good use of drones to capture the dramatic mountain scenery and physical demands of crossing glaciers and rafting down whitewater rapids. The competitors also wore portable cameras. Students swapped out the batteries and memory cards at designated transition stations where the racers would get safety gear such as helmets and life jackets for the next leg of their trek. Leitten said the project gave students practical, hands-on experience. The students were instructed on how to use the equipment and initially were paired with professionals until they were comfortable. They also got training in backcountry safety and bear awareness. UC graduate Mackenzie Houston, who now works for an advertising company in Louisville, served as a producer on the film when she was a student. Houston said a degree in electronic media can take students unexpected places. She solicited positions that were not advertised to land her first jobs out of college. 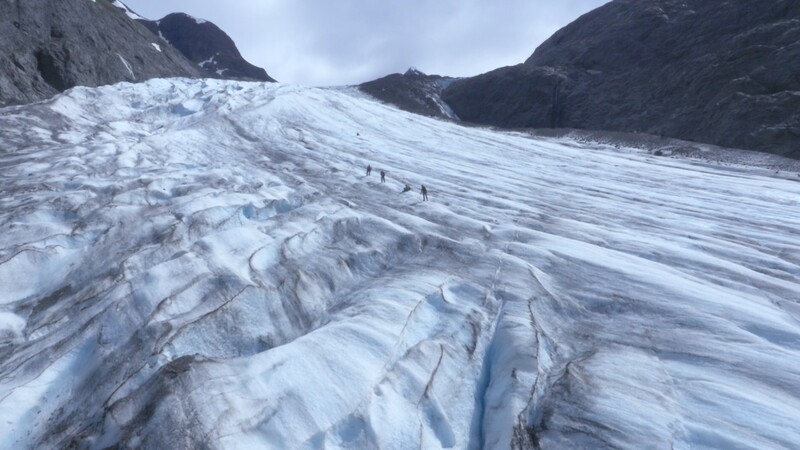 The "Expedition Alaska" film crew used drones to capture dramatic images of racers trekking across glaciers in Alaska's rugged Kenai Peninsula. Photo/"Expedition Alaska"
Burke said the documentary received support from UC Forward, an interdisciplinary program that pairs students and faculty with outside experts to prepare students for the workforce. UC Forward gives students a chance to tackle complex projects like creating a summer wilderness camp for inner-city kids or working with industry to design new products. “We wanted students involved in production as well as post-production. And that’s where the UC Forward initiative came in,” Burke said. Students in UC’s College of Design, Architecture, Art, and Planning created the motion-design elements, graphic animations, titles and credits used in the film under the supervision of Yoshiko Burke, an associate professor in the Myron E. Ullman Jr. School of Design. That’s a lesson I try to teach my students: believe in yourself. 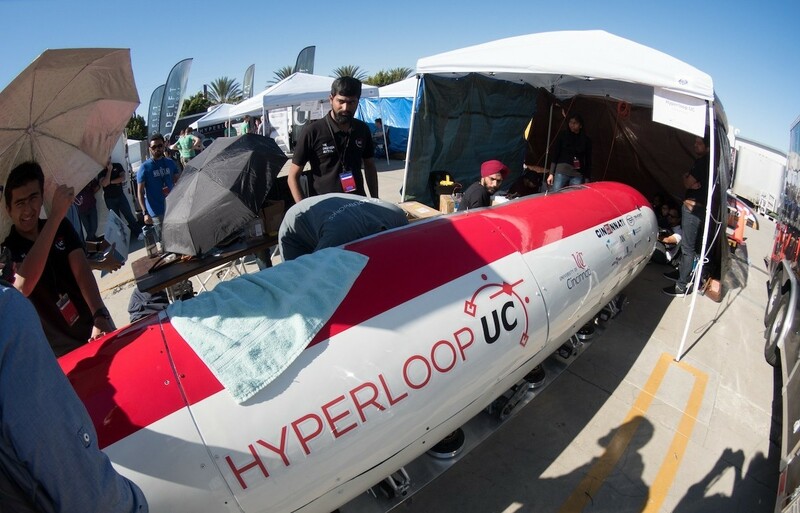 • A profile of UC Hyperloop at the 2017 SpaceX hyperloop competition called “The Fifth Mode,” which will premiere in June on Cincinnati public television. • A feature on Cincinnati’s annual Bockfest. • A documentary on CCM’s musical theater students as they prepare for the annual New York Showcase. Leitten said working on films like “Expedition Alaska” gives students a big advantage in the job market. “I would say students that are part of the production master class who really put the time into it are coming out two or three years ahead of their peers,” he said. Featured image at top: A still from the documentary "Expedition Alaska" shows racers rafting down a river in Alaska's Kenai Peninsula.